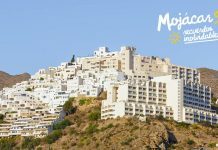 Mojácar, celebrated this special day along with all of the 68 municipalities that make up the network of Spain’s Most Beautiful Towns and Villages. 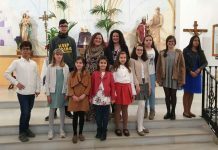 The anniversary commemorates the founding its Association and, the Mayor of Mojácar, Rosmari Cano, together with the Councillors who make up her government team, raised the official flag that flies in the Town Hall Square. 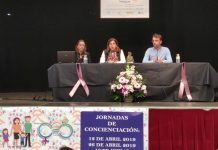 Emmanuel Agüero Leclerc, the local Tourism Councillor, thanked those who had gathered to see the event and spoke about the importance of conserving Mojácar’s artistic and cultural heritage as well as making the most of its old traditions. 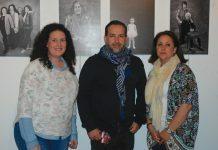 Carmen García Campoy, Mojácar Tourism Office Director, led guided visits throughout the morning around the most emblematic places in the historic centre, including a visit to the permanent Moors and Christians Fiesta Exhibition on show at the Castillo, which includes a collection of photos, posters, costumes and memorabilia from the popular annual event. 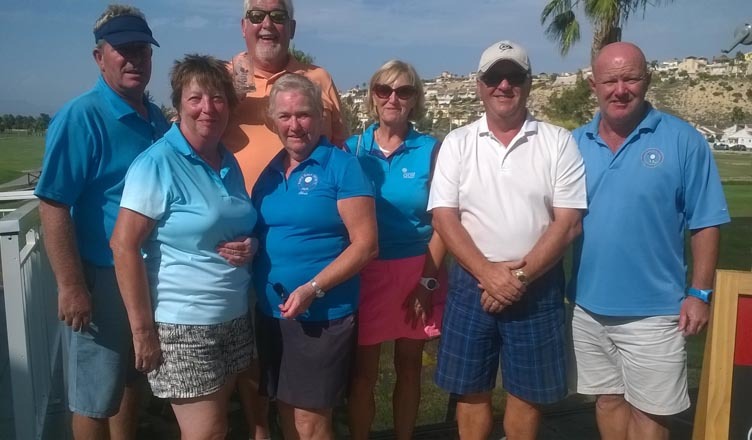 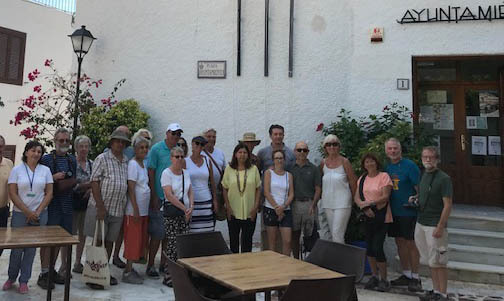 Eugenia Kravchenko, from the DayTours Almería agency, who often collaborates with the Council on tourism projects, took charge of the English-speaking group in their tour of the town. 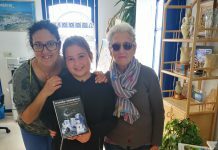 After the visit, all participants were presented with an official book of the Most Beautiful Towns and Villages in Spain as a reminder of Mojácar. 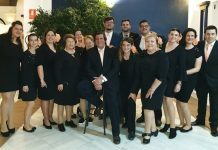 The Association aims, through the pages of the guide, to encourage people to visit, get to know and enjoy the 68 locations that make up today’s network. 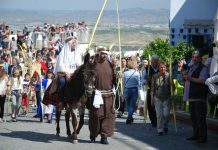 Amongst them are places where the people know how to preserve their ancestral traditions and culture, opening the door to travellers who decide to visit and discover them. 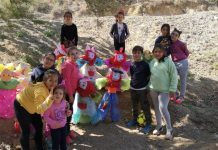 There’s often a chance for them to chat to some locals, too, the best way to find out about their rich natural heritage, just like in Mojácar. 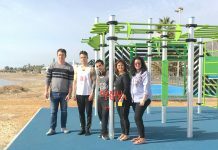 Previous articleCD Torrevieja dismisses entire first team coaching staff.